"Iu Mien" redirects here. For the people, see Yao people. The Iu Mien language (Chinese: 勉語 or 勉方言; Thai: ภาษาอิวเมี่ยน) is one of the main languages spoken by the Yao people in China, Laos, Vietnam, Thailand and, more recently, the United States in diaspora. Like other Hmong-Mien languages, it is tonal and monosyllabic. Linguists in China consider the dialect spoken in Changdong, Jinxiu Yao Autonomous County, Guangxi to be the standard. 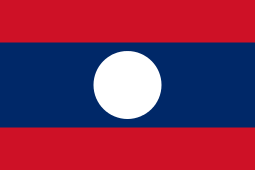 However, most Iu Mien people in the West are refugees from Laos, so they primarily speak dialects common in Laos. Iu Mien has 78% lexical similarity with Kim Mun (Lanten), 70% with Biao-Jiao Mien, and 61% with Dzao Min. In China, Iu Mien is spoken in the following counties (Mao 2004:302-303). 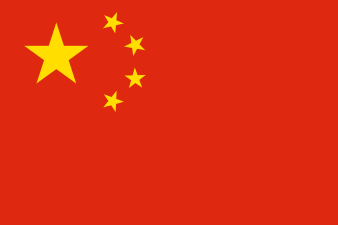 There are 130,000 speakers in the Hunan province (known as the Xiangnan 湘南 dialect), and 400,000 speakers in the Guangxi, Yunnan, Guangdong, Guizhou, and Jiangxi provinces (known as the Guangdian 广滇 dialect). There are several known dialects of Iu Mien. Dialects vary by clan and geographic location. 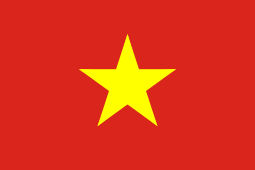 Dialects include, but are not limited to, Cham, Deo Tien, Man Do, Quan Chet, and Quan Trang. There are 31 cited consonant phonemes in Iu Mien. A distinguishing feature of Iu Mien consonants is the presence of voiceless nasals and laterals. The standard spelling system for Iu Mien does not represent the stop sounds in a way that corresponds to the IPA symbols, but instead uses e.g. ⟨t⟩, ⟨d⟩, and ⟨nd⟩ to represent /tʰ/, /t/, and /d/. This may stem from an attempt to model the Iu Mien spelling system on Pinyin (used to represent Mandarin Chinese), where ⟨t⟩ and ⟨d⟩ represent /tʰ/ and /t/. The Pinyin influence is also seen in the use of ⟨c⟩, ⟨z⟩, and ⟨nz⟩ to represent the alveolar affricates /t͡sʰ/, /t͡s/, and /d͡z/ and ⟨q⟩, ⟨j⟩, and ⟨nj⟩ for the postalveolar affricates /t͡ɕʰ/, /t͡ɕ/, and /d͡ʑ/. Note also that the use of ⟨ng⟩ to represent the velar nasal /ŋ/ means that it cannot also be used to represent /ɡ/, as would be predicted; instead, ⟨nq⟩ is used. According to Aumann and Chengqian, in a certain Chinese dialect, the postalveolar affricates are instead palatal stops (/cʰ/, /c/, /ɟ/). According to Daniel Bruhn, the voiceless nasals are actually sequences [h̃m], [h̃n], [h̃ŋ], and [h̃ɲ] (i.e. a short nasalized /h/ followed by a voiced nasal), while the voiceless lateral is actually a voiceless lateral fricative [ɬ]. Bruhn also observed that younger-generation Iu Mien Americans were more likely to substitute the voiceless nasals and voiceless laterals with /h/ and the alveolo-palatal affricates with their corresponding palato-alveolar variants. It appears that all single consonant phonemes except /ʔ/ can occur as the onset. Unlike Hmong, which generally prohibits coda consonants, Iu Mien has seven single consonant phonemes that can take the coda position. These consonants are /m/, /n/, /ŋ/, [p̚], [t̚], [k̚], and /ʔ/. Some of the stops can only occur as final consonants when accompanied by certain tones; for example, /ʔ/ only occurs with the tone ⟨c⟩ or ⟨v⟩. Iu Mien vowels are represented in the Iu Mien United Script using combinations of the six letters, ⟨a⟩, ⟨e⟩, ⟨i⟩, ⟨o⟩, ⟨u⟩, and ⟨r⟩. According to Bruhn, the monophthongs are ⟨i⟩, ⟨u⟩, ⟨e⟩, ⟨o⟩, ⟨ai⟩, ⟨er⟩, ⟨ae⟩, ⟨a⟩, ⟨aa⟩, and ⟨or⟩. The diphthongs are ⟨ai⟩, ⟨aai⟩, ⟨au⟩, ⟨aau⟩, ⟨ei⟩, ⟨oi⟩, ⟨ou⟩, ⟨eu⟩. Furthermore, additional diphthongs and triphthongs can be formed from the aforementioned vowels through /i/- or /u/-on-gliding (having /i/ or /u/ before the vowel). Such vowels attested by Bruhn include ⟨ia⟩, ⟨iaa⟩, ⟨ie⟩, ⟨io⟩, ⟨iu⟩, ⟨ior⟩, ⟨iai⟩, ⟨iaai⟩, ⟨iau⟩, ⟨iaau⟩, ⟨iei⟩, ⟨iou⟩, ⟨ua⟩, ⟨uaa⟩, ⟨uae⟩, ⟨ue⟩, ⟨ui⟩, ⟨uo⟩, ⟨uai⟩, ⟨uaai⟩, and ⟨uei⟩. The dialect studied by Bruhn, and described in the above table, has a phoneme /ɛ/ that does not have its own spelling, but is represented in various contexts either as ⟨e⟩ or ⟨ai⟩ (which are also used for /e/ and /aɪ/, respectively). In all cases where /ɛ/ is spelled ⟨e⟩, and nearly all cases where it is spelled ⟨ai⟩, it does not contrast with /e/ or /aɪ/, respectively, and can be viewed as an allophone of these sounds. The only potential exception appears to be when occurring as a syllable final by itself, where it has an extremely restricted distribution, occurring only after the (alveolo-)palatal consonants /tɕ/, /dʑ/, and /ɲ/. The sound /ɛ/ may be a secondary development from /aɪ/ in this context, although Bruhn does not discuss this issue. Iu Mien is a tonal language with six observed tonemes. In the Iu Mien United Script (the language's most common writing system), tones are not marked with diacritics; rather, a word's tone is indicated by a special marker letter at the end of the word. If a word lacks a marker, then it is to be pronounced with a middle tone. Iu Mien is an analytic language and lacks inflection. It is also a monosyllabic language, with most of its lexicon consisting of one syllable. Question words like those meaning 'where' generally come at the end of sentences. The negative word maiv (often shortened to mv) may occur before verbs to negate them. A prevalence of contractions. Some words consist of a contracted syllable followed by an uncontracted second syllable (in IMUS, these syllables are separated by apostrophes). One such example is ga'nyorc ("spider"), a contraction of gaeng-nyorc ("insect-spider"). In the past, the lack of an alphabet caused low rates of literacy amongst the Iu Mien speakers. It had been written with Chinese characters in China; however, this is extremely difficult for Iu Mien speakers from other countries such as Laos and from groups such as the Chao Clan. 2003 - Death of a Shaman. Directed by Richard Hall; produced by Fahm Fong Saeyang. 2010 - "Siang-Caaux Mienh". A story of a very irresponsible family man, alcoholic, and drug addict. He likes his bad friends but he doesn’t love his family. But as he starts paying his mistakes, has become a turning point in his life. 2011 - "Mborqv Jaax Ciangv". A moving family friendly movie. ↑ Hammarström, Harald; Forkel, Robert; Haspelmath, Martin; Bank, Sebastian, eds. (2016). "Iu Mien". Glottolog 2.7. Jena: Max Planck Institute for the Science of Human History. ↑ Hammarström, Harald; Forkel, Robert; Haspelmath, Martin; Bank, Sebastian, eds. (2016). "Biao Mon". Glottolog 2.7. Jena: Max Planck Institute for the Science of Human History. ↑ 毛宗武, 李云兵 / Mao Zongwu, Li Yunbing. 1997. 巴哼语研究 / Baheng yu yan jiu (A Study of Baheng [Pa-Hng]). Shanghai: 上海远东出版社 / Shanghai yuan dong chu ban she. Smith Panh (Panh Kweifo/盘贵富): Modern English-Mienh and Mienh-English Dictionary (Trafford 2002), ISBN 1-55369-711-1.